Location was fantastic. 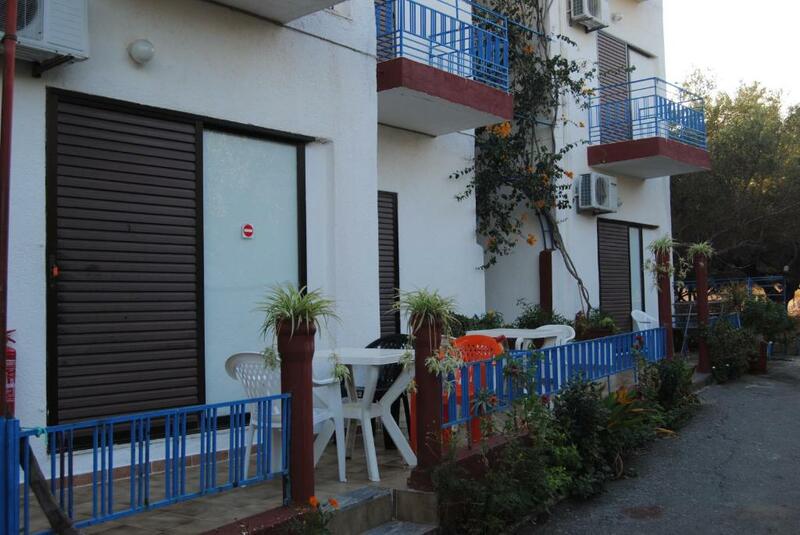 Close to beach and restaurants but away from the main road. Quiet area day and night. Free large bottle of water on arrival. Owners live onsite and had lots of lovely cats. Lots of hot water for showers. We liked it because it was typical Greek apartment in an excellent location, and looked after by a couple who made sure your stay was one to remember !! We will stay again next time we are in Elounda. the apartment was very roomy very clean and had all what we needed. Clean house with a lot of space and a kitchen to cook something. Quite at night but very close to everything in Elounda. The hosts were very helpful and kind. The location is perfect for the beach,village,restaurants and bars, the hosts are very friendly and accessibly helpful. 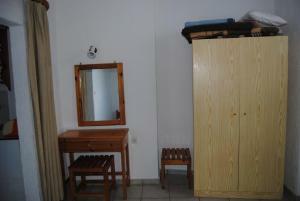 Rooms cleaned and towels changed regularly. Great value, traditional self catering. Everything it was perfect. 2 minutes to the beach and all restaurant's and shops. Mike and his wife who own the property are lovely they will do anything for anyone. The apartment was in a brilliant location and was very quiet. It was clean and comfortable although would have benefited from an electric toaster! However, the WiFi was brilliant and worked well inside the apartment and on the balcony. Would go back again. A very traditional taste of Elounda. This is a family business ran by the couple. They are extremely hospitable and helpful. We were given home made cakes as we sat on our terrace. Perfect location opposite the beach but set off the main road. Pretty plants and flowers make for a pleasant setting. The bonus addition this year has to be the chickens!!! Very safe place to stay. Lock in a great price for Sailors Apartments – rated 8.7 by recent guests! 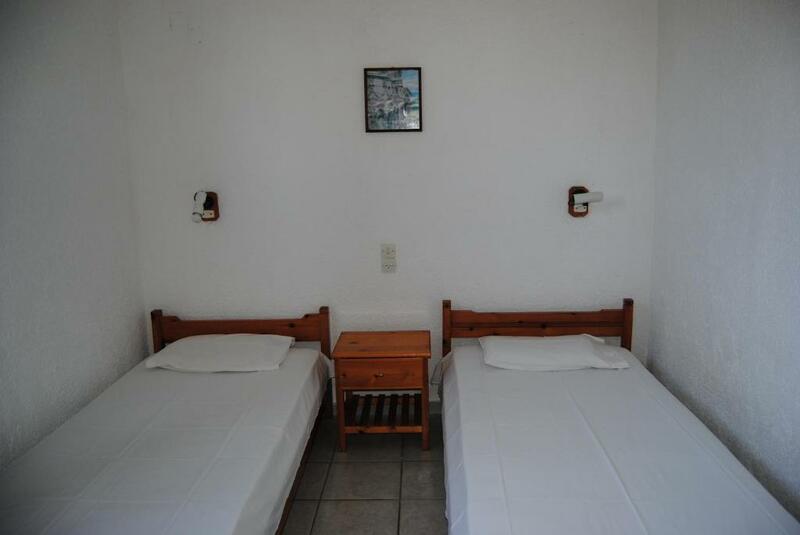 The family-run Sailors Apartments is located in Elounda of Lasithi, just 150 feet from the beach and a short walk from restaurants and shops. 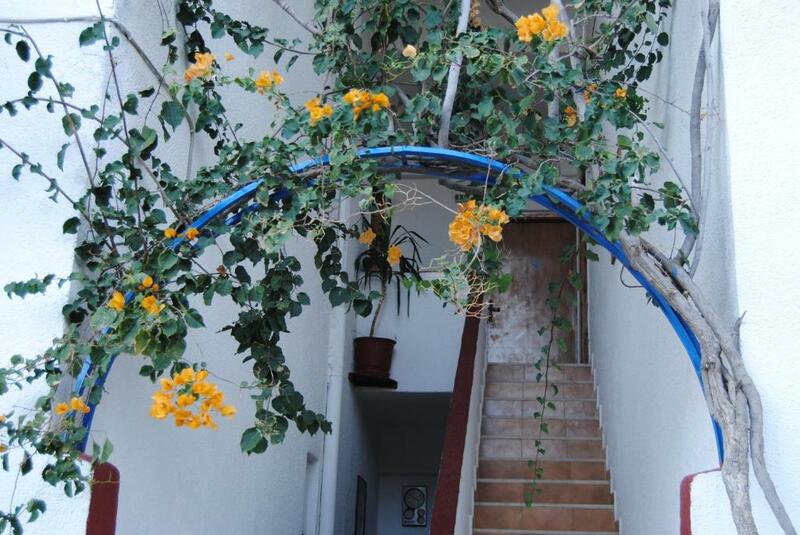 It offers self-catering accommodations with a balcony and free Wi-Fi access. Overlooking the garden and the mountain, the apartments have a separate bedroom, an open-plan kitchenette with seating and dining area, and a private bathroom with shower. 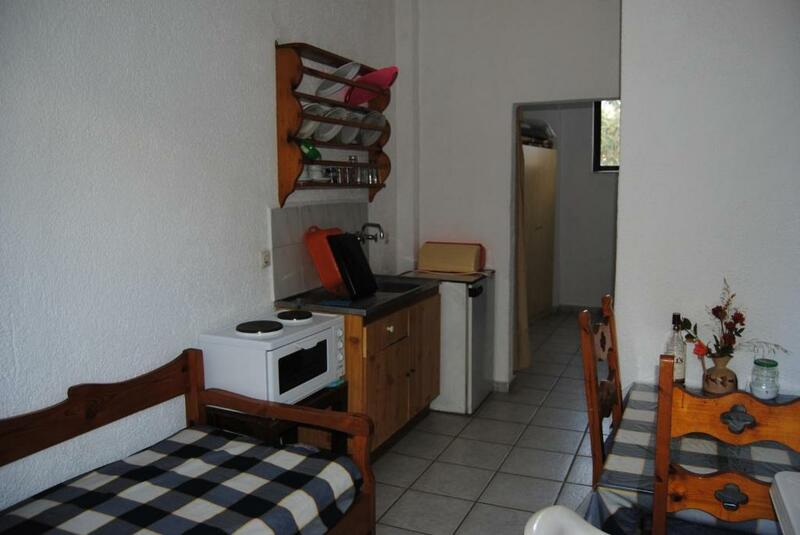 Air conditioning, a fridge and a small electric oven with cooking hobs are available. Plaka Village, from where boats to Spinalonga Island depart, is located 3.1 mi from Sailors. Agios Nikolaos Town is 6.2 mi away, while Nikos Kazantzakis International Airport is at a distance of 43 mi. Free public parking can be found nearby. 뀐 Located in the top-rated area in Elounda, this property has an excellent location score of 9.6! When would you like to stay at Sailors Apartments? Air-conditioned apartment with free Wi-Fi and a balcony overlooking the garden and the mountain. It has a separate bedroom, an open-plan kitchenette with seating and dining area, and a private bathroom with shower. Air conditioning, a fridge and a small electric oven with cooking hobs are available. House Rules Sailors Apartments takes special requests – add in the next step! Please inform Sailors Apartments of your expected arrival time in advance. You can use the Special Requests box when booking, or contact the property directly using the contact details in your confirmation. Kitchen cupboards were old and the fridge was old and very noisy. Could have done with a curtain at the front door so it could be kept open without exposing the living area. Very small window in the bedroom. The bathroom was difficult as i have a bad back but other appartments looked better . Mike and his wife were perfect hosts. The room was kept spotless throughout my stay and And the bed was comfy. Plenty of room in flat and a nice terrace to sit in. I'm a regular visitor to Elounda but this was my first stay at Sailors. It had everything I needed. Peace and quiet, close to beach and centre of town. Can't wait to come back again. Really nothing bad. It would be perfect if there were soap in the toilet and kitchen and a sponge to clean the dishes. The apartments although clean and totally serviceable, are a little bit in need of a cosmetic update in some areas. Addition of toaster and better cooking facilities would be great. Lovely quiet location but 2mins to beach and harbour. 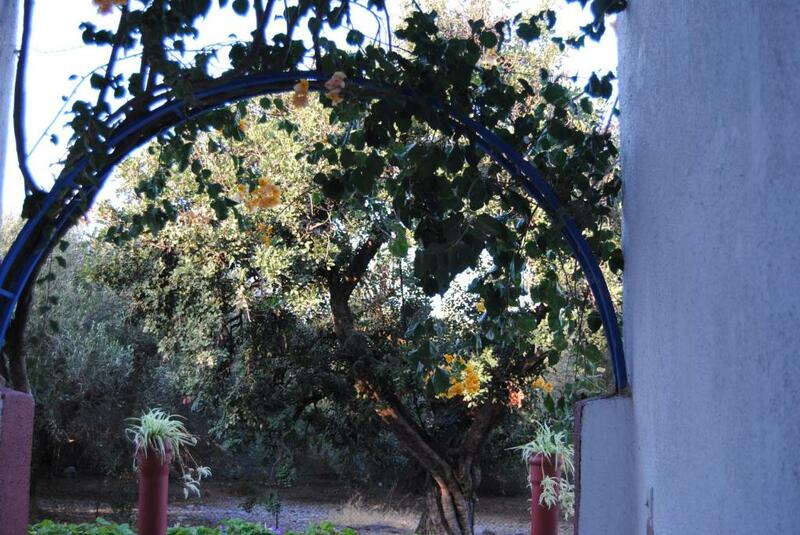 Overlooks olive grove and hills behind. Friendly hosts.